Karen Kingston, the world’s leading expert in space clearing, a branch of Feng Shui that specializes in the art of clearing and revitalizing energies in buildings, published a revised and updated addition since 1998. Clear Your Clutter with Feng Shui became an international bestseller, establishing this book as a classic in its field. Karen has over thirty-five years’ experience helping people to clear their clutter. Her first book, Creating Sacred Space with Feng Shui published in 1996 was a general approach to the practice of Feng Shui. 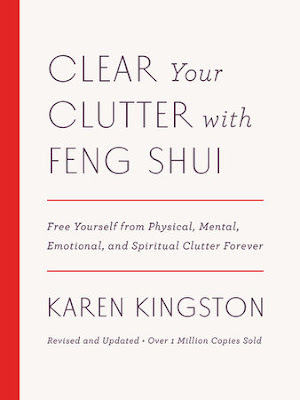 In this current volume, Karen approached the subject matter as a whole, explaining and educating people on the art and practice of Feng Shui as an emotional, mental, physical, and spiritual freedom. Already practicing Feng Shui, this book solidified simple daily things I do in my own life as essential and necessary to my well-being. Like our physical bodies, the spaces around us hold onto energy. If that energy is out of balance, stagnant, too high or too low, disease occurs. The same applies with your home, your vehicle, your work-space and your environment. Easily explained, "Feng Shui is the art of balancing and harmonizing the flow of natural energies in our surroundings to create beneficial effects in our lives." Karen explains that in Bali, for example, people still live in total harmony with the seen physical world and the unseen energy world. She describes Feng Shui as "not just a set of principles applied to a building for a result, but being in tune with the sacredness of the land and surroundings as a way of life." Within each part, Karen delves into the importance of understanding how clutter affects you, and how the clutter of other people can affect you as well. The act of letting go of things you no longer need, yet hold onto, is imperative. This not only applies to cleaning out closets, drawers, cupboards and shelves, but to your own mental, emotional and spiritual wellness by freeing yourself from wasted space and stagnant energy. For example, I recently went through all of my books. There were hundreds. I decided which books meant the most to me, which books I wished to donate or give away, and which books I might be able to sell. After dividing my books into groups, I then moved my bookshelves to a different area in the room and arranged the books the best I was able into categories. This simple practice of going through my books ended up in a complete rearrangement of my entire bedroom to accommodate new space. With one part of the room feeling free and organized, the rest did not. I moved my bed, my desk, my tables and mirrors. The entire room now feels complete and whole. That is how basic Feng Shui is. In this volume, Karen directs attention towards the importance of clearing clutter, which can depress you and put your life on hold without realizing. The simple act of going through old clothes, photos, letters, bills, and anything that you do not need to keep is a freeing process for the mind, body, soul and a massive architectural and fashion based statement for your home or space. After I cleared my books, I decided the walls needed change too. New draperies and blinds installed, as well as artwork and tapestries. I did this myself and now when I enter this room; it feels more open, warm, inviting and energetically sound. Before going through my books, stacked haphazardly on the shelves, unorganized, many books with paper stuffed in between, half written poems and stories, bills, photographs and things that did not need to be in my space, I found it is now easier to breathe, my atmosphere is lighter. Now when I come home, my favorite place to go is to my bedroom. Before I mentioned that I practice Feng Shui on a regular basis and I do, however, after reading Karen's book, I realized just how much I am helping my entire being and that of those that visit my home by clearing away what is not needed. We often tend to clear away clutter in our careers and relationships, yet rarely where it is most needed, our homes, where we spend most of our time. Beside the mind, body and spirit aspects mentioned in this book, Karen goes into other hazards of clutter such as fire hazards, financial costs of keeping clutter and storage, how much extra cleaning is needed due to clutter and how clutter distracts you from important things you need to care for daily. Many of us keep things to identify with them, or a "just in case" mentality. Becoming unattached to belongings is the first and most essential step in clearing clutter. Some may believe that "more is better" or keep things for "financial status" reasons. Others may find security in holding onto things and be territorial about their possessions. Inherited tendencies even come into play like obsessive-compulsive disorder and using clutter to suppress emotions. For me, the largest lesson outlined in this book is fear. Fear of letting go. Fear of losing, fear of not having. "Fear suppresses your vital life force energy; releasing clutter helps you reconnect you to your own natural vitality." After reading this book, I went through my closets and lo and behold, found so many things to sell and donate. I was holding onto old technology, cameras, laptops, computers, computer parts, clothes, books, shoes, trinkets, jackets and noticed my home had four television sets. We rarely watch television here. What was I doing with four! I sold one flat-screen. I donated an old television to charity. I gave away computer parts, donated books to libraries, clothes to charity, and sold technology that was still useful. Not only does it feel good to donate to others, or simply give to someone who may need what you have, it clears your space and by clearing your space, you clear your mind, in turn clearing your emotional and spiritual well-being. Now when I enter my home, I feel more natural, more welcome, more secure and more at peace. Anyone that enters my space has always felt this way, yet more so now with the help of Karen, explaining and educating through her book, Clear Your Clutter with Feng Shui. It is a necessary volume for everyone to own, a small, hardcover, easy to read book that puts an age-old practice into everyday living. What a wonderful gift to give to someone you hold dear. 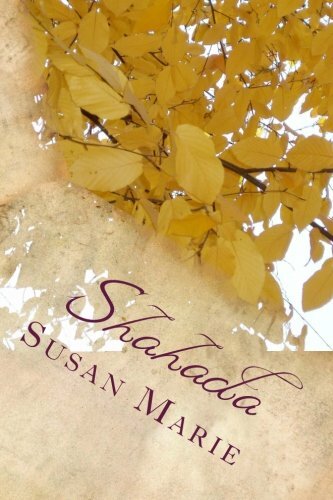 "I received this book from Blogging for Books."